Caruso’s Italian Imports has been a mainstay in the “Little Italy” neighborhood of Buffalo. 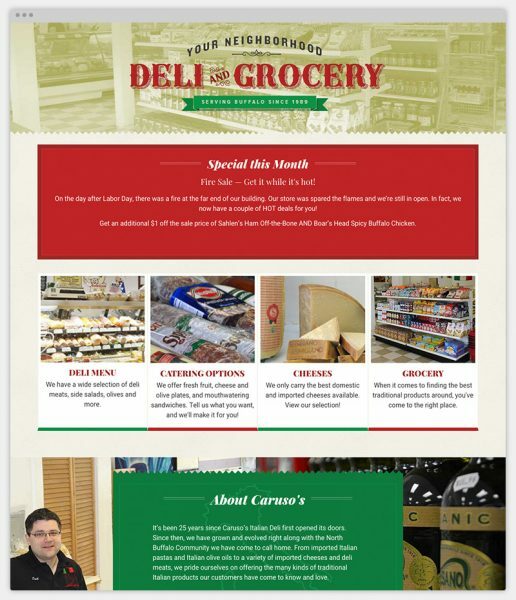 After the original owner retired, the new ownership was looking to keep the tradition of the high-quality Italian Grocery and Deli, while also adding new items to a renovated store. 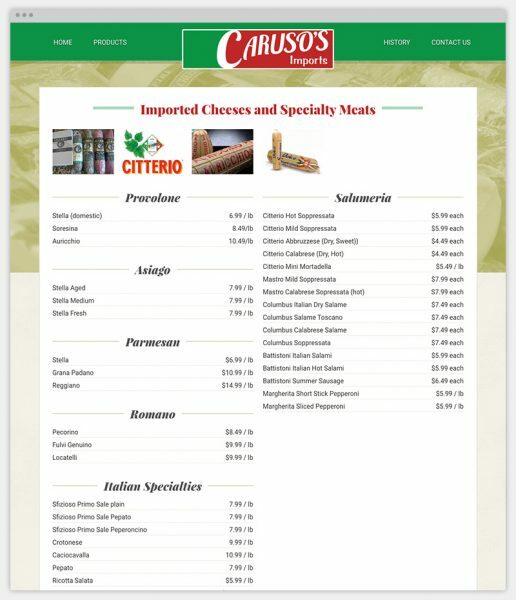 The website needed to be built to showcase the history of the store, as well as its Italian specialties. All of this was done while keeping a modern touch to the website, to match the updated store.